The 2018 Round the Grounds races took place at the Botanical Gardens. 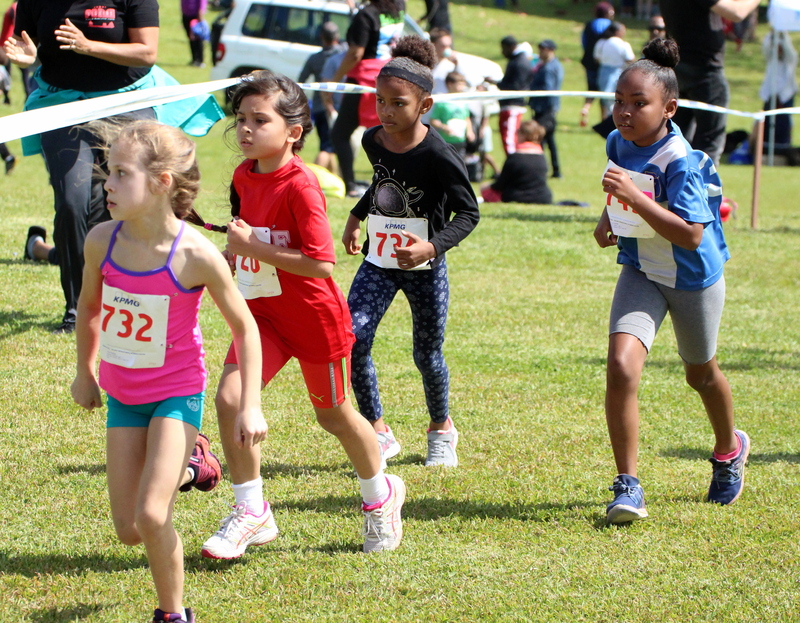 Jake Brisland and Katherine Bean-Rosario are the Boys and Girls 11-12 Years Old Champions, Brislane clocked time of 5:15.2, while Jayson Simons was second in 5:20.7 and Tajai Goater finished third in 5:22.3. Bean-Rosario was the 8th runner to cross the line stopping the clock in 6:15.6, Sarah Lawrence was the second female and 10th overall clocking 6:25.6 and one spot back was Zylah Bean the third female finisher with a time of 6:33.3. Quin Burgess won the Girls 4 Years Old race with a time of 1:56.2, Poppy Parry was second in 2:03.5 and Alessia Vianello finished third with a time of 2:12.1. The Boys 4 Years Old race was won by Jahkari Samuels who stopped the clock in 1:55.9, Lewis MacFarlane was second in 2:00.1 and Lux Smith finished third with a time of 2:02.8. The Girls 6 Years Old saw Riana Robinson run to victory in 3:27.6, Brooklyn Myers was second in 3:33.9 and Avery Taylor finished third clocking 3:34.7. Ta'Han Eve won the Boys 6 Years Old stopping the clock in a time of 3:10.9, Harry Bingham was second in 3:19.9 and Conor O'Sullivan finished third stopping the clock in 3:22.2.